WHEN WE GATHER TO MAKE CHANGE AND IMPACT THE WORLD, WE SHARE IDEAS, STORIES, AND INFORMATION WITH A WIDE ARRAY OF PEOPLE. CONVEYING BIG-PICTURE THINKING WELL AND ACHIEVING UNDERSTANDING TAKES WORK. 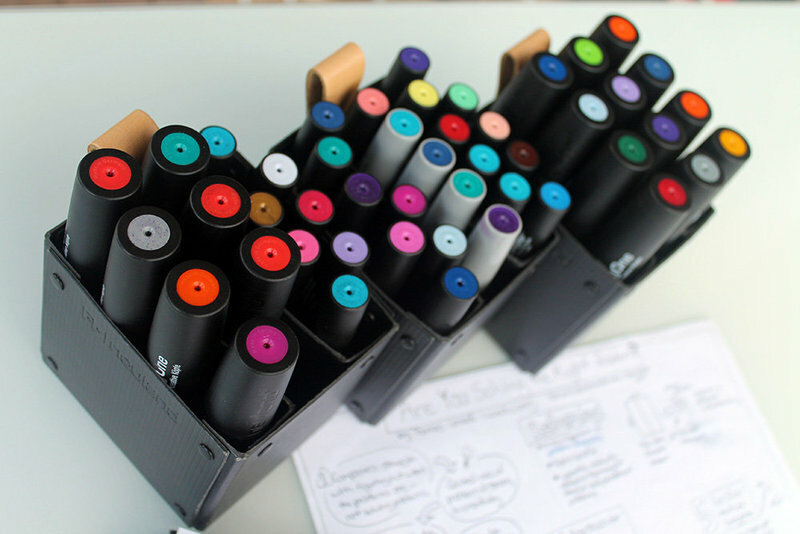 ADDING VISUAL SUPPORT HELPS ACHIEVE CLARITY, INCREASE ENGAGEMENT, AND ENRICH LEARNING. You have a vision you want to share with your team, but they just aren’t seeing what you mean. You’re planning a meeting or event and looking for ways to increase engagement and deepen understanding. Your participants need to provide input and feel heard. You need to gather your thoughts and your team to have a strategic conversation. You are trying building your vision and want to make progress. Do you need help organizing your thoughts, the conversation, and making sure that your goals become outcomes? If you’re looking to leverage the power of visual thinking and facilitation, you’re at the right place with Daring Studios. We can see the big picture together. This page will layout how to work with me to add live visual support to your meeting, off-site, retreat, event, workshop, and conference. Keep reading to see how we can add structure, smooth the communication process, and ensure progress towards your goals and desired outcomes through a thoughtfully designed and human-centered support experience. READY TO take your Meeting or Event to the next Level? Talk logistics, set-up, materials, etc. It's go time, where I show up on-site to provide real-time visual support. Finally, let's make a neat bow. You will retain the large format paper artifact(s) for your use and receive cleaned digital files (ex. jpg, pdf) and the final invoice with the remaining 75% and any relevant travel, lodging, materials, and expenses. 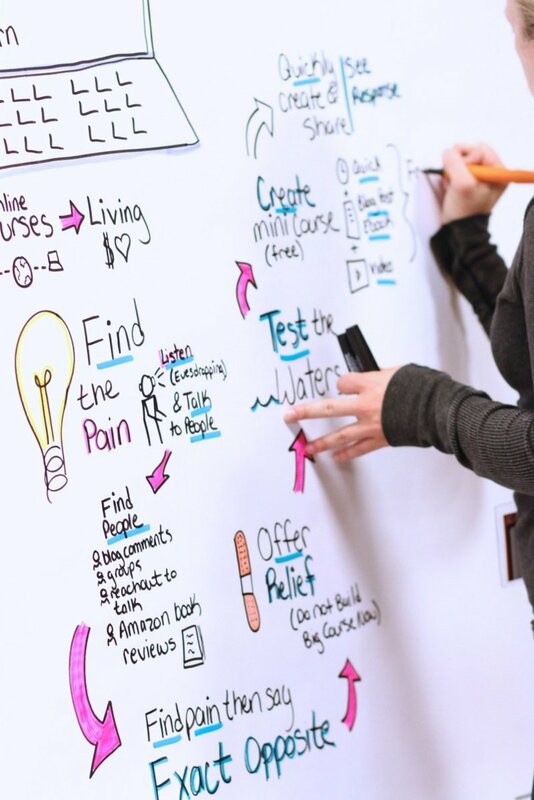 Rachel has an incredible talent for picking out the most important concepts in a presentation or meeting, and representing them in a creative, yet clear, visual. She seems to magically capture the essence of the most critical moments in a large-format drawing that participants return to again and again. Imagine seeing one colorful visual showing the highlights of your meeting posted on LinkedIn, Twitter, Facebook or Instagram! If you want participants to really remember what they experienced, bringing in Rachel to create a graphic recording is your best solution!